2019 Goals- and HAPPY NEW YEAR! What’s on Your New Year’s Business To-Do List? Have you thought about your profession goals for in 2019? What do you want to do better? What things would you like to get done? Has something been on the back burner too long? 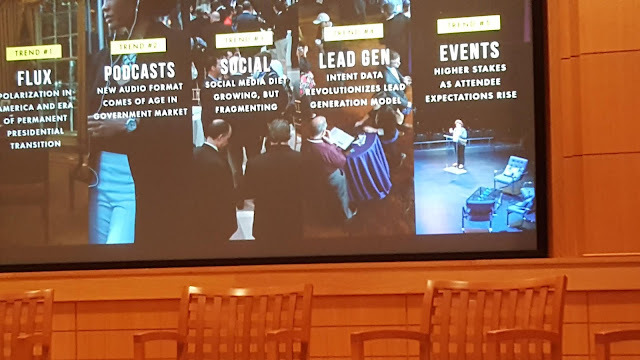 Two weeks back I wrote about becoming even more engaged in the GovCon community through networking events, LinkedIn and speaking. Becoming more engaged is my primary goal for 2019. This includes my work with the AFCEA Small Business Committee, attending PSC MarCom events (as long as I am invited), attending Bloomberg events, and others. LinkedIn will be a big part of this, reaching out to people I have not spoken with in a while, and occasionally going for coffee. My own seminars will be back on a quarterly basis through my partnership with Offit Kurman, so I will be hosting seminars in Tysons and Maple Lawn. I will work hard to sustain my speaking schedule of 20+ events a year, so if you need a speaker with an opinion, you know where to find me. Oh yeah- and I’ll write more, and start podcasting. If you are looking to establish, grow and fill the pipeline of your solo or small consulting practice, we need to talk. I have been operating as Amtower & Company in the government contracting arena since January, 1985, and I have always been a one-man band. Over the years I have learned, usually the hard way, was that filling the pipeline does not occur by itself: it takes planning, careful execution and often revised or updated planning. Among the things I did in my early years was to start a newsletter that offered both tips and observations on what others were doing. Then I produced the first ever “Marketing to the Government” seminar in January of 1991, which led me to produce a bunch of public seminars and three conferences. One of my seminar attendees told me about a business marketing conference that would benefit from a B2G workshop, so the following year (and 3 after that) I was a featured speaker at Direct Marketing to Business (1992-1995) – which led me to helping over thirty B2B catalog companies successfully enter the B2G arena. It was also at DMB where one of my session attenders suggested I write a book. I ended up consulting with her company, writing the book (now several) and still being friends with her more than 20 years later. During this period I also developed relationships with reporters and editors at business and marketing magazines as well as the government trade press – and I started getting quoted and writing articles…and getting more business as a result. At each step along the way I took action, often resulting in business with new clients. And somewhere along the line I became a SME…and I want to share that with you. How do you decide which actions are going to be best for you? I am offering a six-month, one-on-one program to help you take your consulting business to the next level, to expedite the process of attaining your SME status. The program consists of online coaching, telephone and email support to help you define your goals and build your SME platform. - Ultimately assist you in creating a subject matter expert platform in the market which will help you grow your business. My goal with this program is to help you build your SME platform and make it easier to get your message to a targeted audience. Isn’t it time to invest in yourself? After signing up, we’ll have a one-on-one strategy session to map out where you are and where you want to go, defining your goals and creating an action plan we can both follow. During the session we’ll discuss the areas where you need assistance and how to sequence them. We will continue our one-on-one sessions weekly focusing on those areas we mapped out in the strategy session and monitoring your progress. Some calls will be preceded by me sending a short PowerPoint or bullet sheet on the action items and my thoughts on what you’ve done and what you need to do. - I will also be available for short (unscheduled) calls (via my calendly app) and through email inquiries. While I’d love to do mentoring for free, we all need to make a living. However, I want to make this as affordable as possible so the investment for this is $495/month, payable on the first of each month (total $2,970). (Note: the fee will go up in June 2019). I offer a discount with a one-time up-front investment of $2,475, which gives you one month for free. This program runs six months starting the first of the next calendar month. All training will be done via phone, Skype or ZOOM. Taking into account most of us have day jobs, some one-on-one time may be scheduled for early evening or Saturdays. If you are good at what you do and are interested in going to the next level, send me an email or give me a call. With over 2 million feds on LinkedIn and all major contractors (small and large alike), LinkedIn has become ubiquitous in the government market. It has become the place for vetting companies and individuals (and where you are vetted), marketing and social selling, reaching out to influencers and potential partners to build business networks, to recruit key staff and much more. Research from Market Connections and from Government Executive Media Group's Market Preview show the growth and reach of LinkedIn in our market. But LinkedIn continues to morph, changing in ways that frustrate most users and makes it more difficult to do things we could do a few short years ago. We all need to learn how to respond to these changes and maximize the value of LinkedIn for our own purposes. LinkedIn still offers one platform, one place where you can still do many business activities that will help you position and grow your business - and many of these things you can do for free, without the paid membership. If you are not using LinkedIn well, you are losing business. Here are five reasons to attend the upcoming (Dec 4, 5 & 6) workshops. #1: Your target audience is here. ALL federal agencies and major operating divisions are are LinkedIn. Even the IC is represented, although in much smaller numbers. Nearly 2.1 million feds are on LinkedIn. #2: 30-40% of the feds on LinkedIn have program or project management responsibilities or are in other management positions. When approached properly, many of these feds are open to connecting. These are the people who need to know who you are and what you do. #3: Thought Leadership. You can use LinkedIn to develop a subject matter expert position for your SMEs and/or your company to stand out from your competitors. 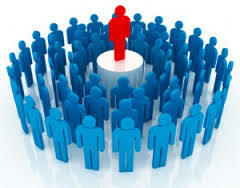 #4: 24/7/365 free advertising when your employee profiles and your company profile are done well. #5: Lead generation occurs when you use LinkedIn like a pro- and this workshop will take you there. $195/seat- Only 15 seats per session- and you must register in advance. Note: Each workshop is being held in the conference rooms of Offit Kurman. Who should attend? Everyone in GovCon, but especially sales and BD managers and professionals, marketing teams, CEOs of small contractors and anyone interested in making LinkedIn pay dividends! Beverages, snacks and the 200 page pdf of the slides are supplied. I attended the 25th anniversary for the SEWP program last week at their offices in Greenbelt. The weather not great, but it did not stop most from attending. I drove 2 hours from Tysons, where I was speaking at the APMP NCA annual conference. Rush hour plus rain, I knew it was going to take a while. I just wanted to arrive before the party was over. SEWP was the first GWAC awarded back in 1993 and is the longest running GWAC. 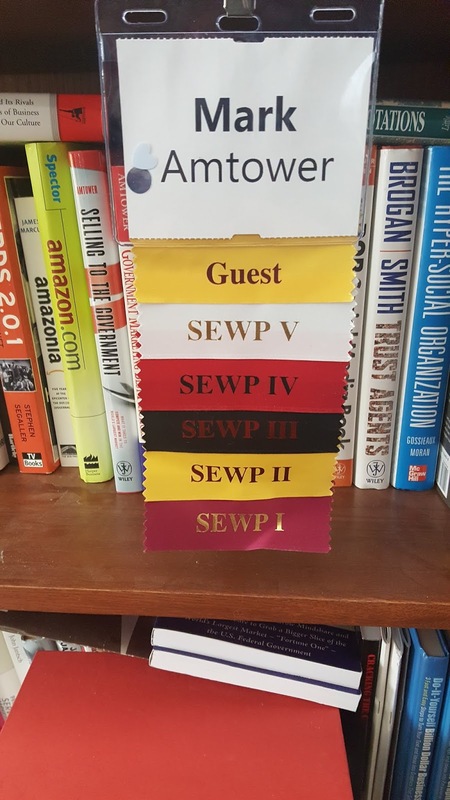 SEWP V is the fifth iteration of the program, and is considered by many to be the best managed contract in the federal market. I made it to the party with an hour to spare, including the cake cutting. I was able to spend a little time with SEWP program manager Joanne Woytek and deputy program manager Darlene Coen. During my conversation with Joanne it came out that SEWP V produced $5.3 billion in booked business in FY 2018. They had close to 32,000 new orders processed with committed funds of $4.21B and approximately 8,000 mods to existing orders processed with newly committed funds of $1.14B. So total new spend through SEWP in FY18 is $5.35 Billion, a 20% increase over FY17. Many have predicted the growing use of GWACs and selected IDIQs was palpable, and SEWPs performance is a great example of that. Congratulations to the SEWP staff for a great year! *** PS: I say above that SEWP is widely considered to be the best run contract in the government. I am among those who think so. Note however that Rob Coen, former PM of the NITAAC GWACs (CIO-SP3, CIO-SP3 Small Biz, and CIO-CS, was just named to run the OASIS program. At NITAAC Rob took the program from pocket change (roughly $300 million) to almost $5 billion during his tenure. I expect no less from him at OASIS. Do you want deeper and better connections with your government clients and prospects? Do you need to develop relationships with system integrators (SIs)? Do you need more visibility in your market niche? Do you want more traction from your contracts? Does your limited networking time pay dividends? Do you want better traction end-of FY 2019 and going into FY 2020? If you answered yes to one or more of these, read on. FY 2019 has been a very different kind of year, especially with the long shutdown. There are lots of things you need to be aware of: SmartPay micro-purchase is now $10,000. IDIQs, GWACs and MACs are playing a bigger role. Best-in-class (BIC) contracts may squeeze smalls (look at BIC as the latest incarnation of Strategic Sourcing). The Section 809 panel's recommendation to limit or eliminate set-asides in DOD, and much more. Every year is a challenging year, especially for small contractors, with further changes in agency programs and policies, senior personnel, additional changes in procurement policy, and more. All these will impact small businesses more than larger businesses, so you must be prepared. Leveraging your current contracts, especially direct or indirect access to MACs, IDIQs and GWACs can help you weather this storm. Many predict agency use of IDIQs and GWACs to continue to grow into FY 2019 and beyond. Your access as a prime or partner on these contracts can be critical. Look for significant growth on SEWP ($5,3 billion in FY 2018), Alliant, OASIS, and other MACs and GWACs, as well as portions of the GSA Schedule. If your company is not performing up to your expectations, or if you feel that your strategy is not paying adequate dividends, we should talk. My guidance has helped hundreds of companies grow and earn billions. My advice can save you time and money, lead to new opportunities, identify key differentiators leading to increased market share, create media coverage, and generally help companies establish a more viable and visible presence in the government market. For over thirty years I have helped my clients to dramatically increase the dollar value of their contracts, often spending less on marketing. I offer a year-long Small Biz GovCon Advisory Program. Rather than charge an hourly fee to companies tapping into my expertise on a semi-regular basis, I have created an advisory program that small companies can afford. This program is only for businesses recognized as small by SBA standards: SDB, WOSB, VOSB, SDVOSB, 8(a), HubZone, Native American, and just plain Small. - Access to me for an entire FY. I can only accept twelve participants. 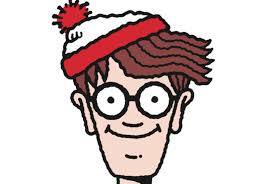 While I don't get out as much as I should, unlike Waldo, I don't hide in crowds or in seas of colors. In public I am easy to spot- all black attire, all the time. And I will be out this fall. Look for me at these events over the next two months. Several are speaking engagements, and all offer great networking. 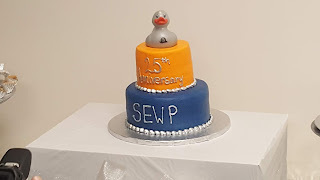 October 11, 4:00pm - 8:00pm: SEWP 25th anniversary party, Greenbelt. I attended Government Executive Media Group's Market Preview on September 20 to see what was coming next from the GovCon media property. I attend in part because the networking is always good. I tend to arrive early because I am driving from Columbia to Wolf Trap and I want to beat the traffic. This works in my favor as well, as I get one-on-one time with Tim Hartman, (CEO), Connie Sayers (President) and a few of the staff that I know. Then, as people arrive, I see many of their clients and prospects, and several of my GovCon marketing friends. It is always interesting to see the market from the perspective of a major media property. For Market Preview, they had five areas identified as trends. As you can see, the five trends identified are flux, podcasts, social, lead gen and events. Citing Market Connections as well as their own research, they see a significant rise in these areas. 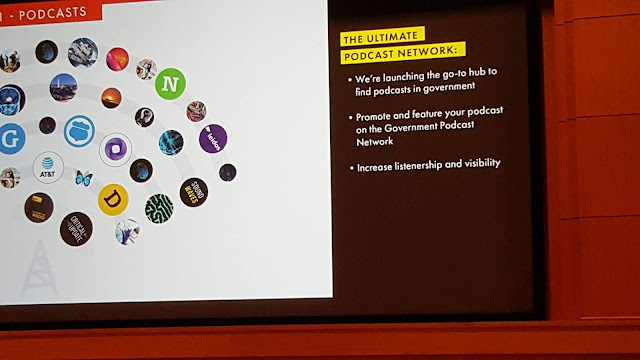 To address these areas, Government Executive Media Group is adding to their portfolio of services programs for podcasts, social, lead generation and events. Well, they already have events and they help their clients with lead gen activity. Which leaves two new areas where they feel they can add value to their client base. I will preface this by saying I am a fan of the GovExec team and what they have done. It is great to see a former print publication morph in the ways it has, and become even more successful. That being said, podcasts and leveraging social media have been with us for quite some time. About the time (2009) I started coaching people and companies on LinkedIn Matt Langan of L&R Communications was helping companies develop and deploy podcasts. And as you may know, I have been on Federal News Radio for almost 12 years, and my shows (and all other WFED broadcasts) are and have been available for download - podcasts. They are also available on iTunes and PodcastOne. On the "Social" side of this equation, I am happy to see the endorsement from a major media company that "social" has arrived. However, the arrival is long past- this baby has matured. As I announced earlier this year, there are more than 2 million Feds on LinkedIn. This was my third Fed census on LinkedIn, the first being in September, 2014 when I found 1.4 million Feds on LinkedIn. Again, while podcasts and leveraging social media, especially LinkedIn, are not new to the market, GovExec's entry into these areas is interesting. They bring a powerful database to the broadcast side of the equation, but as a whole, Government Executive does not leverage LinkedIn particularly well for itself. This is not meant to be a slam, simply my opinion predicated on over 14 years on LinkedIn and coaching trams and individuals for 10 of those 14 years. Most individuals and companies in our market don't use LinkedIn well. All that being said, media companies look for pockets of profitability, and Government Executive Media Group has identified some fertile ground. For me it also begs the question: if I were a GovCon media exec, what would I be offering my clients? Can LinkedIn help you win more government business? Yes, in more ways that you might think. It can also hurt those that don't use it well. LinkedIn remains the most under-utilized marketing tool for many government contractors despite a federal population of over 2,000,000 LinkedIn members. "Mark provided LinkedIn training for our firm and I was thrilled with the results. We have some pretty sophisticated LinkedIn users on staff and I thought they would tell me they knew everything there was to know about how to use this tool, but even our expert users learned a lot from Mark. We spent a full day together learning how to fully use the features and capabilities of LinkedIn. Mark provided a comprehensive training program and one on one coaching. He did a great job and I am proud to recommend him as an expert LinkedIn trainer and coach." • Grow their professional network of customer, prospects, and partners? • Connect with more decision makers through introductions and referrals? 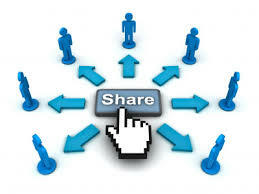 • Increase their visibility and value by sharing valuable information? Then LinkedIn for Government Contractors is what you need - and seating is limited! 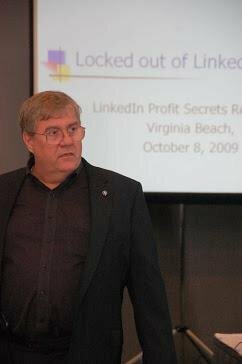 I have a member of LinkedIn since Feb 11, 2004 and have been coaching people and companies on using LinkedIn since 2009 – 10 years- over 60 public sessions and nearly 100 in-house sessions, plus hundreds with 1:1 coaching. "The LinkedIn class was excellent and I learned a great deal." 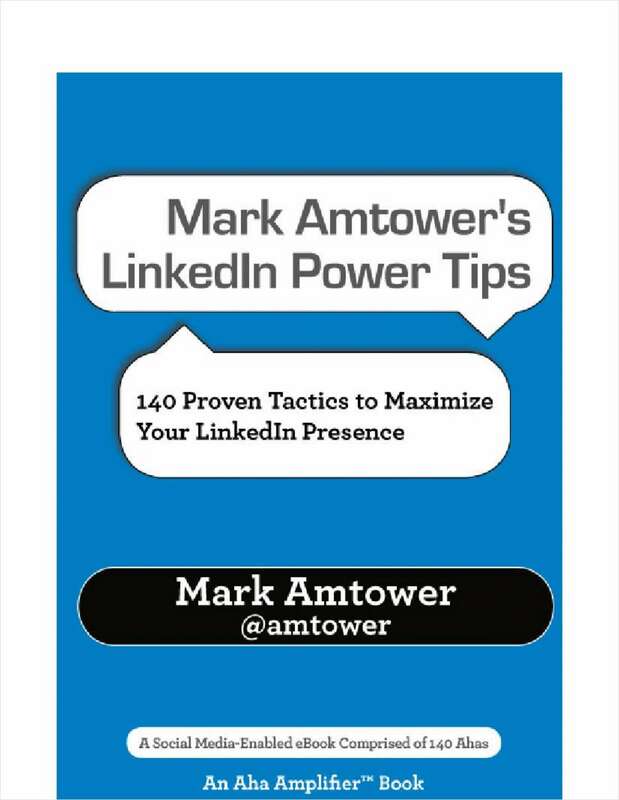 When was the last time you asked yourself if you are using LinkedIn to your full advantage? Contractors that “get” LinkedIn will do much better than those that don’t “get” it. Why? Do you need to grow and better manage a network of clients, prospects, partners, GovCon influencers, media and others in your market? Rather than spend thousands on lead generation, marketing and PR with minimal results, why not invest 3 hours learning how to use the biggest and most valuable business network in the universe – LinkedIn! "Mark Amtower is a "mile wide and a mile deep" with his experience and expertise of "All Things LinkedIn" ...He has transformed from one of the first key LinkedIn adopters 14 years ago to one of the world's leading subject matter experts today in leveraging the capabilities and technologies of LinkedIn -- now the world's most important social media platform for businesses of all sizes and scopes … Mark's seminars on LinkedIn are entertaining, insightful and -- most important -- a key value differentiator for any business in any industry." 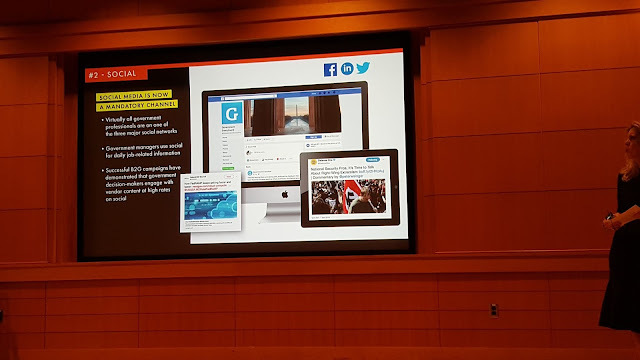 My LinkedIn training is the best in the government market and it is a game-changer for those who attend our public sessions and for those that choose to bring our training in-house. $245/seat- Only 12 seats per session- and you must register in advance. Beverages, snacks and a 100 page pdf workbook are supplied. Arrow/immixGroup Government IT Sales Summit Returns Nov 15 for Year 5! One of my favorite annual events, and my absolute favorite fall event, the Government IT Sales Summit, turns 5 on November 15. If you are one of the unfortunate few who has not attended prior Summits, let me explain. There are two major reasons to attend GovCon events, and they are not food and free pens. The big reasons have always been education and networking, somewhere you can pick up market intel AND meet key players in the GovCon community- manufacturers, systems integrators and the channel. Since the first Summit back on November 20, 2014 both the education and networking have been first rate. There are very few events that bring together executives, BD, sales and marketing in a networking friendly environment. This is the main event that accomplishes that, hosting 1,000 or so manufacturers, channel players, SIs and key Feds. I have attended each of the four previous Summits and every year I have made great new connections and renewed many old acquaintances. Seeing those I have known and worked with previously and catching up on what they are doing now, face-to-face, and sharing what new things I am up to, has enormous value for me. Register today and come find me there on November 15 at the Hyatt Regency in Reston, VA.
Let's catch up if we've met, and meet if we have not! And by the way, there will also be food, and probably pens.